Now that we're less than 4 months away from the NYC Oktoberfest and Steuben Day Parade, we wanted to check in with Deryk Lindsey, the 2016 National Champ and current US record holder (with an astounding time of 19 minutes, 15 seconds). 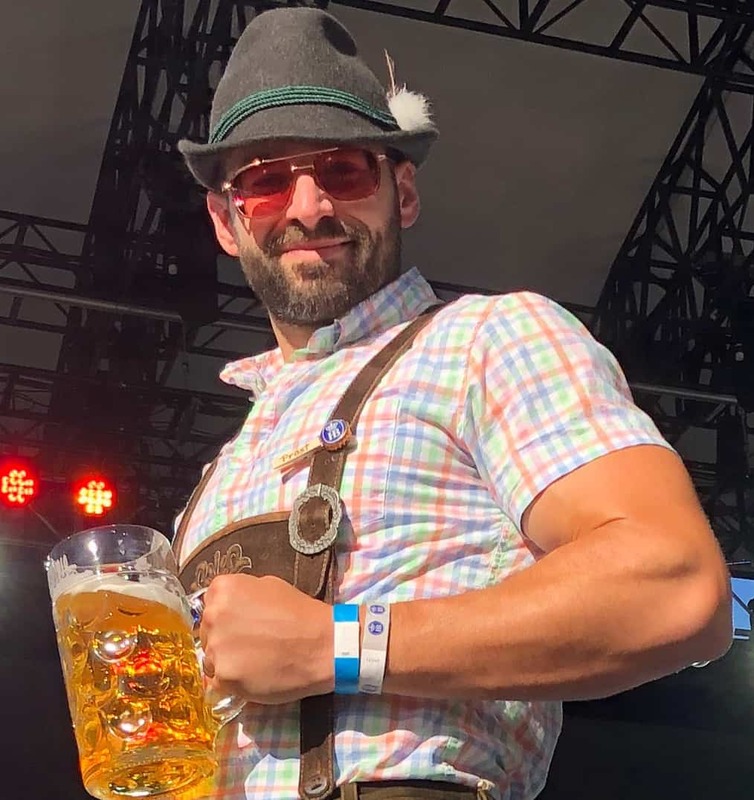 Deryk shared his steinholding story, what he's been up to in the last few months and what he has planned for the future. USSA: So when did you first compete in Masskrugstemmen/Steinholding? Deryk: My first competition was in 2014 at the Friesenhaus Restaurant here in New Braunfels, Texas. My mom actually tried to convince me to do it for a couple years. I didn't really want to do it at first because I didn't want to lose, like most guys I guess. She told me you could win a trip to New York City, so eventually I was like "ok I'll try it." I went in a week before the finals and won the first heat and then went to the finals and competed against Jason. Man I didn't want to lose and I went about 9 and a half minutes but he beat me. After Jason went to NYC and won, I was motivated because I figured if he could it, I could do it, right? USSA: What happened in 2015? Deryk: In 2015 Friesenhaus closed for the summer while they relocated so they didn't have competitions and they didn't send anyone to NYC. I was hungry man, I wanted to compete. I was doing 10-12 minutes and then you put up 17 minutes and I knew I really had to train for it. So I started practicing more and I would hold 10 pound weights in each hand for as long as I could too. Then in 2016 during my first qualifying round I didn't want to show my hand. We went about 5 minutes and I won and I just stopped. I didn't want people to know I was training. USSA: That's smart strategy. I do remember seeing the Friesenhaus finals and you went like 13 minutes for the final qualifying round for NYC. I saw that video on Facebook a week or two before the National Championship weekend and I remember predicting to a couple of people that you were probably going to take the title. So speaking of that weekend in NYC, other than winning the national title and setting the new US record at an incredible 19:15, what were some of the highlights of your trip? Deryk: What was really cool was that we all were strangers but we all got to be part of this event. We were all like brothers and the camaraderie was awesome. We were all cheering each other on and after the thing I watched a video and I was really impressed by how everybody else was cheering me on. Even you, you were clapping and cheering when I broke your record. You killed it with 17 minutes. I looked at your time and you went to 17 and I thought that was untouchable and then I was there in the moment and I could keep going. Everybody cheered me on, it gave me extra minutes onto my time. I couldn't have done it without the support. It was awesome. Good sportsmanship goes a long way. I went in there thinking I could do 13 minutes probably and hopefully win, but something happened that day and I just kept going. It was so cool looking at that video, watching you while I was trying to break your record you were clapping and cheering. That was awesome. I don't know man, it's hard to put into words but it was such a great atmosphere. Everybody is celebrating and cheering, it's a beautiful thing. USSA: Have you claimed your prize and taken victory trip to Munich yet? Deryk: We actually didn't go yet. We're going in July. Starting out in Munich then extending the trip for a few days in Rome. S&H Premium Brands has been really cool about being flexible with covering the flights and we're really grateful for that. Man, I have kids and if it wasn't for this competition I wouldn't be going to Europe anytime soon, at least until my kids were grown. So that's what I tell people and it makes it easier to convince people to get up and compete: you can win a free trip to Europe. USSA: In the last few months you've been very active in recruiting new competitors back in New Braunfels, TX with (2014 National Champion) Jason Hurta. Can you tell us about your experience starting up Texas Stein Holding and what you guys have planned for the summer? Deryk: The design of TSH is to repeat the national championship every year with a champion from Texas. We want a dynasty. We also want to help build up steinholding across the country just like what you're doing with USSA because it's not well known yet. 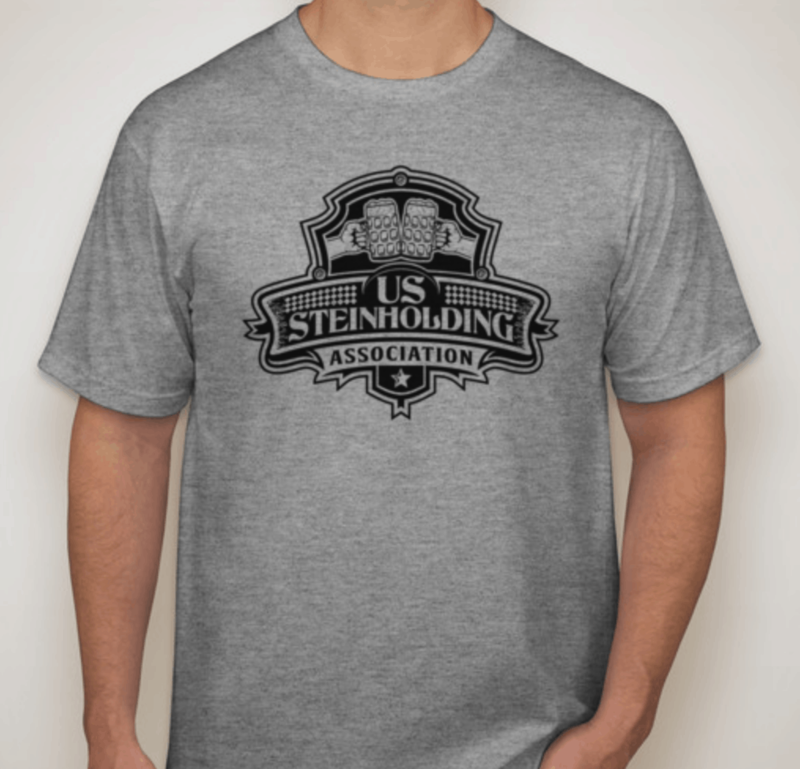 We've been setting up partnerships with restaurants and German places where you go out to the crowd and tell people "we're doing a steinholding competition" and trying to get people to step up and try it. A lot of people don't want to try something new. Even me, my mom was on me for year and then once I tried it I was like "man I have a chance." But like I said, it's also so much comradery man, it's fun and I want to push people to get into it. We got some good contenders going like 7 and a half minutes already. We are gonna have some strong contenders coming out of Texas this year, they'll be going over 10 minutes no problem. I think New York has an advantage because steinholding has gotten so popular there with so many places hosting competitions. We get 7 or 8 guys and I have to work to talk people into trying it and convince the more competitive guys. I think people don't want to lose in front of people. It's pride I guess. So that's a struggle. In NYC people get it. But we're growing it out here too. We had a nice turnout for the Wurstfest Craft Beer Festival. People were amped up man, the atmosphere was like Gladiator. The glasses they had were a pound short but it was a great way to get some people introduced to the sport. We are hoping to get a competition going at the main Wurstfest festival. It's a 10 day festival that's one of the best German festivals in the US, it's huge. You would love it. Handsome form: this is how you do it. USSA: I've never met a wurst I didn't like. That sounds like a great time. So you've been involved in organizing and promoting a bunch of competitions but what about competing some more? If you were allowed to compete again in a national level competition, would you do it and why? Deryk: Yeah absolutely. I loved it and I'm really enjoying getting more people into it. I'm actually gonna be competing against a World's Strongest Man competitor on June 10 at a festival. One of the main events is going to be steinholding. It's gonna be incredible. Krause's Biergarten is hosting it. I'll get you more information on that when the details get nailed down. So I've been training for that. I want to beat my own record at that competition and solidify things. I've gone past 19 minutes on my own, I want to do it and I want to get it on film and with judges and everything. On top of that, I'd love to go across the pond and take a dream team and beat the Germans. Man let's go over there with our top 4 and smoke them. We could do it 4x4 relay style for the World Championship! USSA: Haha, that would be cool but I don't know if I've still got it in me. I've been enjoying watching all of this grow and seeing these great competitions from the sidelines or "retirement" or whatever you call it. Deryk: No way, you're a champion man, you would be fine. Jason keeps talking about being a has-been. I keep telling him "you're a champion." You don't win a Super Bowl and then stop being a champion the next year. Everybody who wins, they are a champion from there on out.